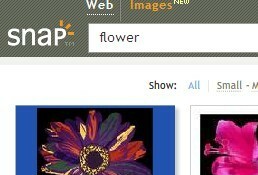 [tag]Snap.com[/tag] is having a contest for people to come up with ideas for their incredible plugin SNAP. If you haven’t seen it (you have) you can just mouse over any link on this site and have a popup come up of with a picture of where the link leads to. I have become a connoisseur of sorts of plugins for Web Logs like this ([tag]Wordpress[/tag]) and I assure there is nothing like the one I am suggesting for them to write. I currently am using [tag]IMM[/tag] [tag]Glossary[/tag] here and it’s not bad, but SNAP could do a KILLER job making the type of [tag]plugin[/tag] I’m looking for into a reality. I guess there is nothing like “self-promotion”, so I am encouraging you to go to this adress and “VOTE” for my plugin suggestion! I know that it would be very useful not only on this site, but on other technical sites as well!